Our review of Stranger Things 2 continues! For Part 1, click here. Michaela: Will the Wise picks up immediately where The Pollywog left off, with Will being possessed by the Mind Flayer while his friends and Joyce look on in horror. The rest of the episode spends some time establishing his shift in personality as well as the influence this creature is having on him. He prefers to be cold and feels a constant, killing presence in the back of his mind. It’s pretty terrifying to see Will deal with this trauma head on because in Season 1, he was distant from the story and while we knew he was scared, we didn’t get to see the effects of that fear on him. Here, his fear and desperation is front and center, and while it’s hard to watch, this was the episode that made me realize just how insanely talented Will’s actor, Noah Schnapp, really is. There are more great scenes with him later that show off his skills, but this was the start of a heart wrenching performance that made it hard to tell when it was him or the monster slowly taking over. This episode also spends some time developing Nancy and Jonathon’s story and their resolve to expose the truth about Barbara’s death and the dangerous experiments at Hawkins Lab. I was concerned that Nancy and the other teenager’s roles in Season 2 would be limited, but this episode reassured me that their roles in the story were absolutely necessary and important. Finally, Eleven and Hopper’s falling out was tough to watch, but it was an extremely powerful scene that reinforced both of the actor’s excellent skills. What could have been just a scream fest evolved into a deeply emotional scene. It’s clear that both of these characters rely on each other, and in Hopper’s case, that he is concerned for El’s safety despite his anger. The buildup and climax of this fight was tense and exciting, and it conveyed some of the deeper, more complex feelings these two characters try to hide. Michelle: I think the most impactful moment of this episode far and away is between Eleven and Hopper. Tensions already running high with Eleven itching to escape the isolated safety of the cabin and Hopper scrambling to enforce his paternal authority over her, I think we were all expecting this to come to a head. I wasn’t expecting it to happen so soon, but I was grateful for the furtherance of Eleven’s character arc and story. Unfortunately, I feel like this episode is sort of where Eleven’s arc peaks, and the Duffer Brothers do very little with her after this point until the end. This episode also sets up what could have been a very compelling character arc involving her mother, which ended up being something of a dead end and leaving me a bit confused. Instead, we were given a mostly stagnant trajectory for a character that had immense promise and potential at the close of season 1. Unfortunate. This episode also introduces Billy as a secondary antagonist. I’m not entirely sure how I feel about Billy as a character; on one hand he provides conflict for Steve, who otherwise might not have a lot to go up against this season, but on the other hand, there’s something tonally off about Billy’s presence that doesn’t sit right with me. He’s abusive, but he’s also a victim of abuse–but beyond that, he doesn’t really seem to have much depth. He’s just kind of there throughout the season, and I don’t really know what his greater purpose is–if there even is one. And I’m not even going to touch on the weird shower scene that almost implies that Billy is hitting on Steve. I absolutely have to agree with Michaela that Will’s role in this episode really made me stand back and say, “Wow! This boy’s got acting chops!” Noah Schnapp is not just a good screamer like a lot of early child actors; he’s able to command his presence on the screen and create a genuinely creepy aura with his body language beginning in this episode as the Mind Flayer takes hold of him. And he just gets better from here. I was disappointed they decided to kill the cat. Animal death always bothers me, and this instance was no exception. #justiceformews indeed! Michaela: In this episode, Dustin manages to trap Dart in the basement and is desperately calling for anyone to help him through his walkie, but Mike is with Will at Hawkins Lab and Lucas is with Max revealing the truth of what happened a year prior. This episode does a great job of exploring new character relationships and pairings, with Steve and Dustin being an unlikely duo. They have great banter together, but their friendship also evolves and is surprisingly genuine later on (more on that later), and it’s a relationship that I was pleasantly surprised by. Hopper becomes trapped in the tunnels underground, but with Bob’s assistance and Will’s drawings, Joyce is able to save him. It’s a really intense sequence, and I honestly wasn’t sure if Hopper was safe or not. The episode ends on the horrific image of Will suffering from a seizure after the vines are burned, hurting him as well. I was legitimately scared for Will at this point and really started wondering if the Duffer Brothers were going to kill him off. No one is safe and that made it a very exciting, albeit stressful, episode to watch. Michelle: If I didn’t already ship the heck out of Will and Mike, this episode really did it for me. That tender moment when they’re alone on Will’s bed, and Mike is trying to reassure Will, he reaches out and touches his hand! AH! Whether you see it as potentially romantic or not, the friendship between these boys stands out as the clear heart and soul of this show. 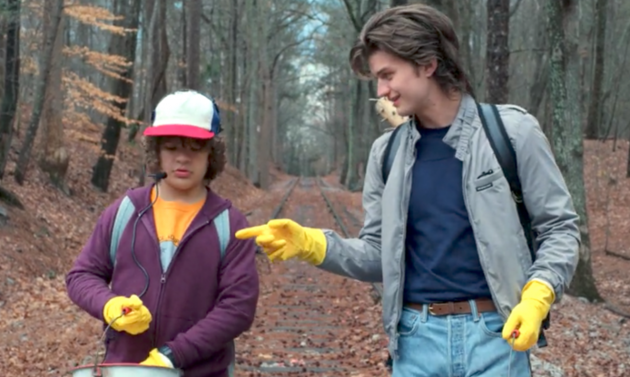 Season 1 simply told us that Will and Mike were best friends, and we were forced to accept that claim with Will being in the Upside Down and unable to interact with him. But Season 2 really digs its heels in with regards to Will and Mike’s friendship, and they do it well. They made me feel and believe it. The plot arc with Jonathan and Nancy, which comes to a conclusion in this episode, felt a little contrived and unnecessary. It felt more like a means to create sexual tension between them. I do genuinely like the idea of two people being able to move forward from shared trauma together, but the actual nature of their role in this season felt a bit shoehorned in, like the Duffer Brothers didn’t quite know what to do with them. I applaud them for reassessing the fallout of Barb’s death, and Nancy’s determination to expose the scientists in the lab for what they’ve allowed to happen. I’m just not sure how recording the tapes for media outlets were all that important, especially because Murray Bauman (played by the hilarious Brett Gelman) tells them that they easily could have falsified those tapes, and the tapes themselves could’ve been buried by the scientists or denied as true. So I don’t see how their idea of watering down the message would matter at all coming from two teenagers and essentially the village loony. My suspension of disbelief faltered a bit here in this episode. This episode also details Eleven’s journey to find her mother. While I actually quite like the idea of Eleven being reunited with her mother, I don’t think it had the emotional impact it should have. Her mother functions as a convenient plot device to move Eleven on to the next stage of her journey to Chicago and nothing more, which left a bit of a bad taste in my mouth. This episode is buoyed almost entirely by the introduction of the best team-up to ever come out of this show: Steve and Dustin–who are pure and wonderful–plus Mike and Will. The rest of this episode really dragged for me, unfortunately. Michaela: Literally, Season 2 is so unkind to Will. On one hand, I appreciate his presence in the story. 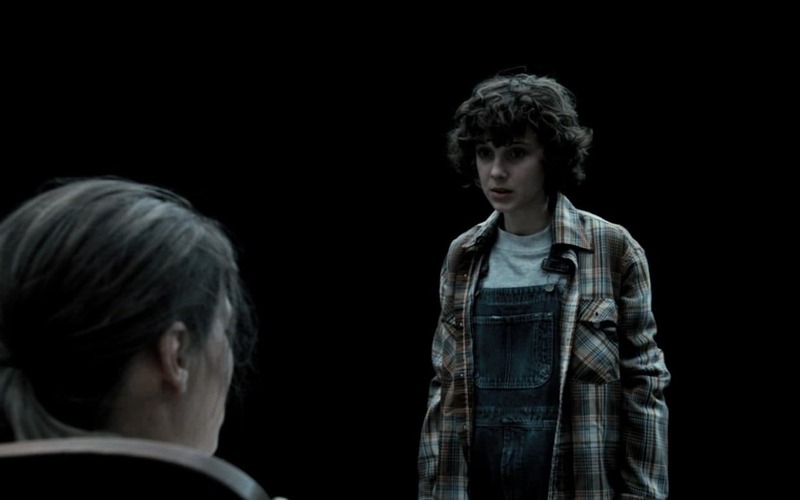 All of his scenes with Mike are wonderful, and his emotions are so palpable, but at the same time it’s depressing watching this kid deal with this horrific experience of slowly becoming possessed by the Mind Flayer. The moment that he forgot Bob really cemented the damage and consequences of his connection to the Mind Flayer, and I was really concerned with what his fate was going to be. The friendship with Dustin and Steve is so well done, I didn’t know I needed this genuine relationship but clearly I do. They’re great. In addition, the fight in the bus with Steve protecting the kids was really stressful, and I was definitely yelling at the screen when Steve walked out to bait the Demodogs. Terrifying stuff. This episode does an excellent job of setting up the final conflict of the season, with an army of Demodogs invading Hawkins Lab in the final scene. The cliffhanger is exciting and brilliantly executed, which makes the next episode all the more frustrating, but more on that later. Michelle: POOR WILL. At this point in the season, I couldn’t help but wish that literally anyone else had been possessed by the Mind Flayer. This boy has been through the wringer since Season 1, and the opening scene of this episode is genuinely hard to watch. It’s a necessary development, and I love how everything progresses with Will as a victim of the Mind Flayer’s control overall, but it’s tough to get through. To find out at the end of this episode that the Mind Flayer used Will to trap and kill the soldiers, and then execute and all-out attack on the lab, was a welcome twist that upped the ante for the season. Will has been found out and is no longer The Spy he thought he was. With his role compromised, and his presence a very real liability for everyone who is trying to stay alive, it begs the question of what everyone is going to do with him after this episode. This episode also expands upon the Steve and Dustin team-up, which is even more delightful in this episode than the previous one, as it gives their characters more time to interact, discuss their insecurities, and actually become friends. It helps that the actors genuinely seem to adore each other; you can feel the big brother vibe from Steve as they’re driving together, and later walking along the train tracks on their way to the dump so they can trap D’Artagnan. Their friendship, best highlighted in this episode and the final episode of this season, gave me some joy in an otherwise fairly somber season. I’ll take it. Hallelujah: episode 6 finally gives us the culmination of Jonathan and Nancy’s sexual tension! I was actually surprised that the Duffer Brothers just went for it here, but it was a welcome decision given that they could’ve realistically drawn their relationship out through the season with no definitive answers, and they didn’t. Thank god. Part 3 of our Stranger Things 2 review will be coming soon!